That's why I've been working so hard to protect our state forests, clean drinking water, and communities from the industrial clearcutting companies and Oregon’s “weakest in the west” logging rules. And it's why I am looking for activists who can support this important work with me in Salem (Sign up here). As we’ve learned in this recent Oregonian series, the legislature has been so polluted by money that we need our supporters to show up, and be louder and more persistent than ever! Ban the aerial spraying of herbicides on State Forests. This practice was stopped on federal public lands decades ago, but hikers, anglers and anyone else using Oregon’s State Forests today remains at risk of being exposed to herbicides being sprayed out of helicopters. Update Oregon’s system for notifying people of logging and spray operations. Currently, neighboring landowners and other forest and stream users are not adequately informed of what risky behavior could be going on nearby. We think that needs to change so Oregonians can protect themselves and their drinking water and avoid toxic exposures. In order for this legislation to pass - we will have to be louder than ever about the need for common sense reform to protect Oregon’s forests - and I hope you can help. Things change fast in Salem, so by signing up to support these bills you give me a way to contact you directly, so I can keep you informed about the time and place of each hearing, and make sure you know who to call or write to to support these needed changes. Sign up to help out here! One last thing - I know you are interested in sticking with us in this fight to modernize Oregon’s logging laws, and I want to keep you informed - so I’m excited to invite you to join our new State Forest Policy specific email list! Join the new Friends of Oregon’s Forests email list. Help us reform Oregon's outdated logging laws that threaten drinking water, degrade wildlife habitat, and increase fire risk. 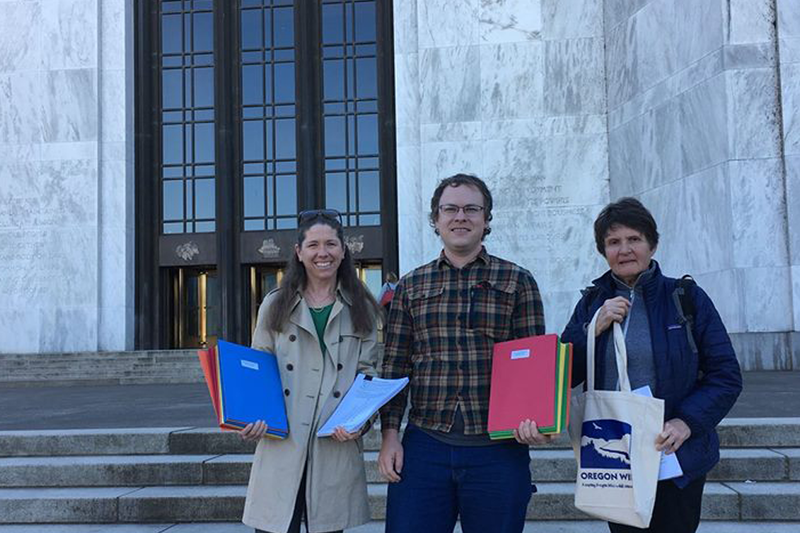 I’ll send you monthly updates on our Forest and Watershed campaign, where I organize with the folks who are directly impacted by living near industrial forestlands to challenge the logging industry and work for stronger logging laws at the State level.